When I planned this column two weeks ago, I thought (hoped?) the Norwegian Curling Pants would not only be the story of the Olympics, or at least the curling part of the Olympics, as they had been four years ago in Sochi, and lead to an increased interest in curling (at least here in the United States). That was of course, before the Miracle on Ice, Part II. Of course, I’m sure you’ve ALL heard by now that the USA Men’s Rink won the Gold Medal in Curling in one of the most improbable wins in the history of ever of course if Kevin Koe had proper draw weight, they’d have played for bronze. Still, the USA rink put itself in position to win both the semi-final and Gold Medal games, and in the end, it was the USA who made the shots in the clutch. 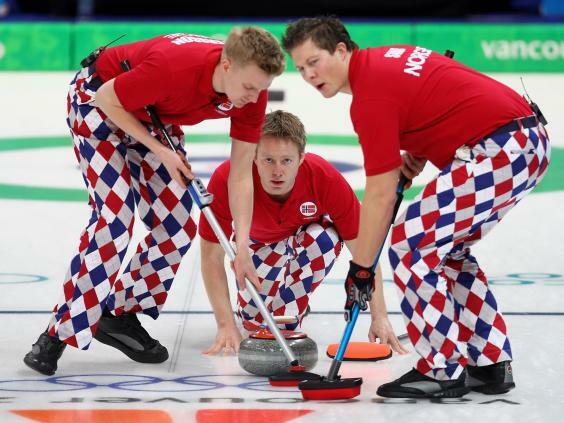 But I figured FOR SURE the story of the curling for this Olympics would be the Norwegian Pants. The pants back then took on a life of their own, and they were THE thing. After winning the silver medal in 2010, and wearing one set of “crazy” pants, the same rink finished in a tie for fourth four years ago, but missed the championships after losing a tie-breaker game. But it was in 2014 that the Norwegians set the world on fire with their pants selections. They went through each match sporting a different pair — in essence, they became the Oregon of curling, only in a good way. Fast forward to 2018. The Norwegians exited early this year, failing to reach the medal rounds again. While their pants certainly weren’t ignored by any means, the pants-watching world seemed to have moved past their sartorial choices. But in a wonderful turn of events, THE story of the 2018 Olympics, curling edition, is the USA Men’s Rink and their incredible run for the gold medal. It turned out, USA had some interesting sartorial choices as well — AND the Norwegians weren’t the only ones who eschewed the traditional black pants. Perhaps the Uni Gods are trying to establish some sort of equilibrium in the brotherhood of curling pants. But I digress. The Norwegians, despite their less-than-stellar results, did NOT disappoint in the pants department. 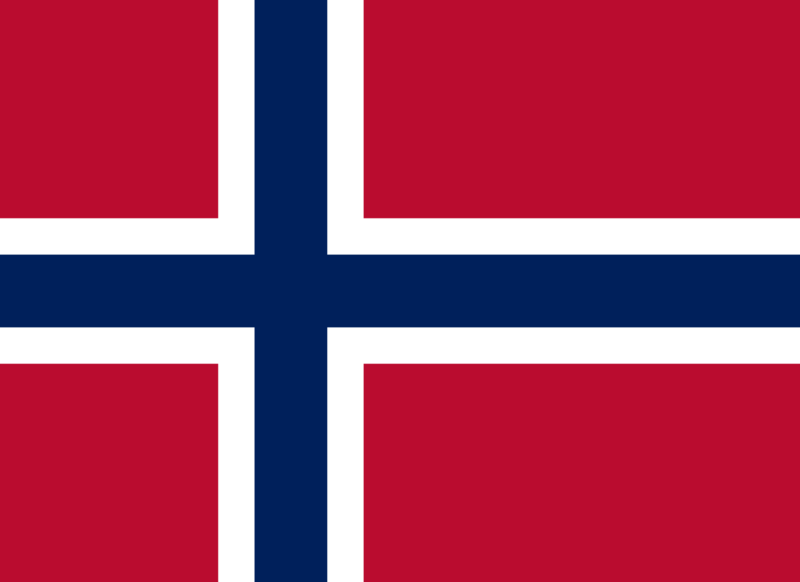 Since 2010, they have always worn the colors of the Norwegian flag, which are red, white and blue. This year they made one exception, and it occurred on the first day of play, which also happened to be Valentines Day. Let’s take a look at the 9 sets of pants worn by the Norwegians this year (for all photos below, you can click to enlarge). For their opening match (a 6-4 loss to Japan), the team eschewed the flag color scheme in favor of a set of holiday-themed trou. It wasn’t their best look, but it was apropos for the day. They followed up their loss to Japan with another loss to Canada. This time they wore a floral print theme. The team would bust out the red, white and blue balls in getting their first win, a 7-5 victory, over host South Korea. Not necessarily their best look. The one game win streak came to an end with a 7-5 loss to Switzerland, but boy did they ever look in this paisley print. sporting another floral print pattern (which would be the Americans last loss of the round-robin). These may have been my favorite pants of their tournament. The next match the Norwegians would play was a loss to Great Britain, by a final of 10-3, and they wore what could also have been my other favorite pants — these vaguely resembled the concentric circles of a curling house. Nice! In their penultimate match of the tournament, against the Italians (a 6-4 defeat), the Norwegians broke out another floral print design. For their final match against arch-rival (or at least neighbor) Sweden, a 7-2 victory for Norway, the boys broke out flag-themed pants which no doubt had an effect on their opponents. Or maybe not. By this point, Sweden had already wrapped up a playoff birth in the medal round and Norway was already eliminated. But those sure were cool pants. Thus endeth the 2018 Olympics for the Norse. However, they weren’t the only teams pushing the envelope in terms of curling pants fashion. Of course, no one pushes it further than the Norwegians (and that’s a good thing), but three rinks this Olympics did NOT wear only black pants. The Chinese, the Americans, and the Japanese. Finally, the United States. They really went outside the box, even if it was a very small crayon box. They opened up their tournament going white over white. Not only did this break all sorts of “never before Memorial Day/after Labor Day” fashion taboos, it was almost jarring to see white pants on a curling sheet. It was a look I liked (and would wear — and have). I didn’t know at the time if they’d keep wearing white pants or if it was a one off. It turned out the US of A wore SIX different combinations, including the light blue over gray pants in which they’d go on the winning streak that propelled them to the gold medal game. I hope you fine readers were able to watch the Gold Medal game. Of course, I stayed up till 4:30 am Friday Night/Saturday Morning to watch it live. I was a walking zombie yesterday (as I have been for the past two weeks), but it was worth it. I hope this gives the sport the big boost it needs (and deserves) across the USA. And I hope some of you who felt this was just a mere curiosity before will give curling a try. Congratulations to your friend. Well done. This is very, very good for our sport. If you guys have the itch to try curling and haven’t yet, I know most clubs are big into their “Learn To Curl” teaching sessions now. Just google “Learn to Curl” and either USA Curling or type your city into the search feature, and I’m sure lots of hits will come up. It’s truly a great sport, and I hope the USA’s march to the gold will give the sport more than just the quadrennial boost it currently gets. It’s kind cool to see all the folks you curl with featured on a news segment. And, not to toot my own horn (more than usual anyway, lol), we curlers do try to give back. I’m actually going to be helping teach curling in both locations, and I’m doing three Open Houses/Learn To Curls in the Long Island location, and two more (including one tonight) in Brooklyn. Both leagues are attempting to get more ice time to add even more of these. So if you haven’t given it a try, now is the time. All my LI Club’s “Learn To Curls” have sold out, but there is still room in the Open Houses. My Brooklyn Club still has a few Learn To Curls left, but those spaces are filling fast. C’mon out if you live in the area! You’ll be hooked on curling in no time. Trust me! And maybe, just maybe, I’ll get to write about curling more than just once or twice every four years. It’s been a long four years week since the original Mr. “5 & 1” — Jimmer Vilk — gave us a Winter Olympics rundown. He’s back for a couple of 5 & 1’s this time around: last weekend he gave us his rundown of the outfits sported by the “Pairs” figure skaters, and today he’s back with the outfits worn by the ladies for their programs. I’ll be honest…I saw very little skating this year. NBC ticked me off after showing only five (5) ski jumpers in the large hill competition. But I’ve calmed down and I’m feeling very Olympic today. After going through all 81 pages of Getty photos for ladies figure skating I have eight to share with you. Honorable Mentions to Alina Zagitova, Olympic Athlete from Russia. The gold medalist gets dinged on this list for the Barry Bonds/Manny Ramirez/Pedro Martinez look. Stockings inside your skates, Alina! And to Hanul Kim, Korea. Stockings *all* the way over skates is slightly less annoying. Plus, unlike San Diego, she Brought Back The Brown! This reminds me…I need to get “Alice” on DVD. 4. Maria Sotskova, Olympic Athlete from Russia. Is that pink or salmon? Either way I like. You can’t go wrong with basic black. Jerry Seinfeld may not like puffy sleeves but I do. That outfit just flows. Fantastic. And my bad one: Carolina Kostner, Italy. Never been a fan of the faux-cutout front torso look. You can extinguish the flame now, Phil. Thanks, Jimmer. We’ll see you gain in two years for the next sets of 5 & 1’s, Summer Olympics-style. ESPN reminder: Paul here. In case you missed it on Friday: With Kansas City Chiefs offensive lineman Laurent Duvernay-Tardif bidding to become the first athlete to have “M.D.” added to his NOB, my latest ESPN column takes a look back at many notable moments in NOB history (including the many attempts to fit Jarrod Saltalamacchia’s name onto a jersey, as shown above). Check it out here. We now return you to your regularly scheduled Phil fiesta. 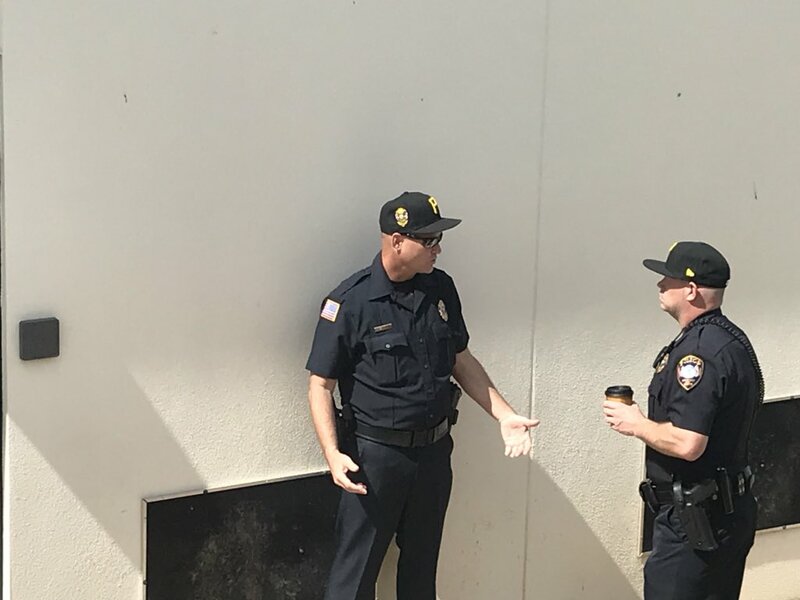 Baseball News: In spring training news, Cops in Bradenton, FL, home of Pirates, wear Pirate caps with badges emblazoned on the sides. – at McKechnie Field (from Matt Shevin). 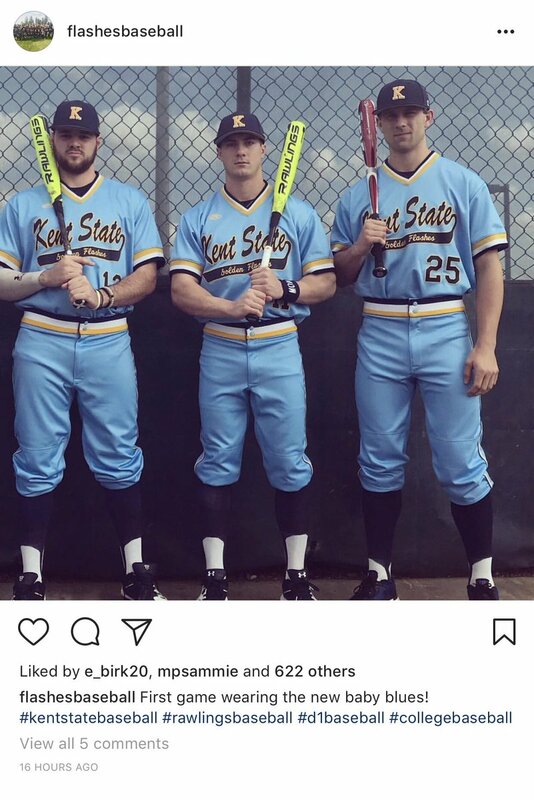 … Whoa — these new baseball uniforms for Kent State are, in the words of submitter Robert Hayes, “Straight out of 1975.” I bet Jimmer Vilk loves em. 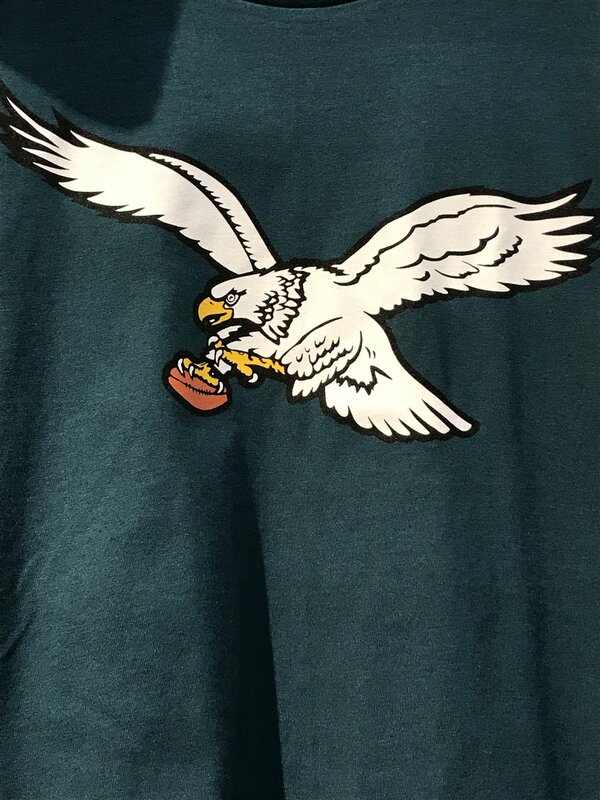 … The latest team to wear raised helmet logos? The Philadelphia Phillies (from Stanley Witinski). … Jam Jones of the Los Angeles Angels of Anaheim needs to XYZ PDQ (from Ray Barrington). … Our own Brinke was especially enamored with the stance socks some Giants will be sporting this year. … The Phillies have the 20-foot-high, 15-foot-wide replica of Philadelphia’s historic Liberty Bell in their possession and plan to display it in Citizens Bank Ballpark as early as the 2019 season (from Blake Pass). … “Apparently the Dodgers are spared from having to wear the awful Spring Training patch thanks to their 50th anniversary patch,” notes Paul Quinn. “If you’ve already covered this, my apologies.” It’s also not on their caps (also from Paul). Hockey News: And now from the “Sorry we don’t catch everything department,” Michael Engelbart writes, “Here’s a rather unique hockey jersey from earlier in the month you missed for the Knoxville Ice Bears of the SPHL.” … In nicer not-quite-breaking news, Wade Heidt writes, “Interesting scene at the NHL game in Glendale, AZ on Feb 22. The game featured the Calgary Flames at the Arizona Coyotes. Would not expect a large number of fans in the stands wearing green and white football gear, right?” He continues, “However, that was the case and is becoming a yearly event. The annual Riderville in Arizona gathering for fans of the CFL Saskatchewan Roughriders was happening and included attending the NHL game.” … More from Wade: The Kootenay Ice wore retro uniforms on Friday night. He cautions, “However, I would consider this to be in the ‘too soon’ category to call them ‘retro’. The Ice started wearing new uniforms with the the new logo and colour scheme this year. These ‘retro’ uniforms are the uniforms they wore last year.” … Penn State broke out gray alternates vs. Minnesota, for the PSU Senior Day (from Maria Canales). … The New Jersey Devils retired career scoring leader Patrik Elias’ No. 26 jersey in a ceremony before their game against the New York Islanders on Saturday. … And in that game, the Devils wore white at home, as God intended (from @cannolifactory). … Our own Alex Hider tweets, “Sorry @UniWatch, but the @CincyCyclones wore purple sweaters and died the ice purple tonight for cancer awareness.” … These are some pretty great looking throwbacks worn by the Toledo Walleye last night (from Philip Sanford) — throwing it back to the old “Goaldigger” days. 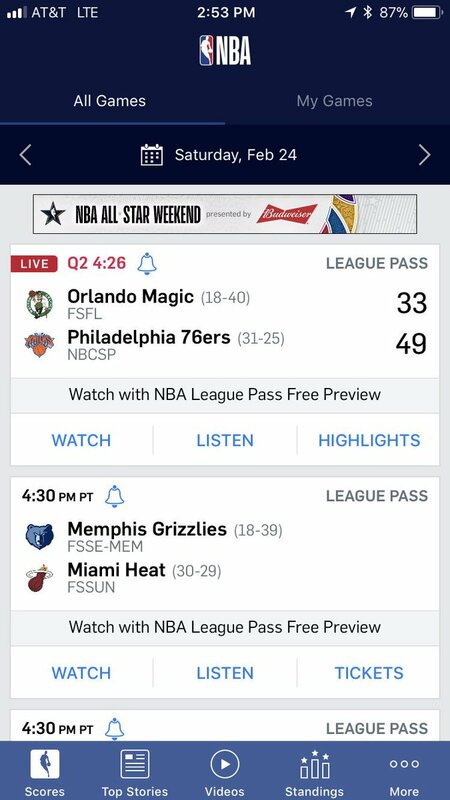 NBA News: Oops — “Interesting choice of logos in this Sixers vs Magic game,” says Pete Richardson. “Must be our alternates.” … Apparently the folks at Barstool Sports aren’t Kevin Love fans. But it seems the feeling is mutual (from John Sabol). 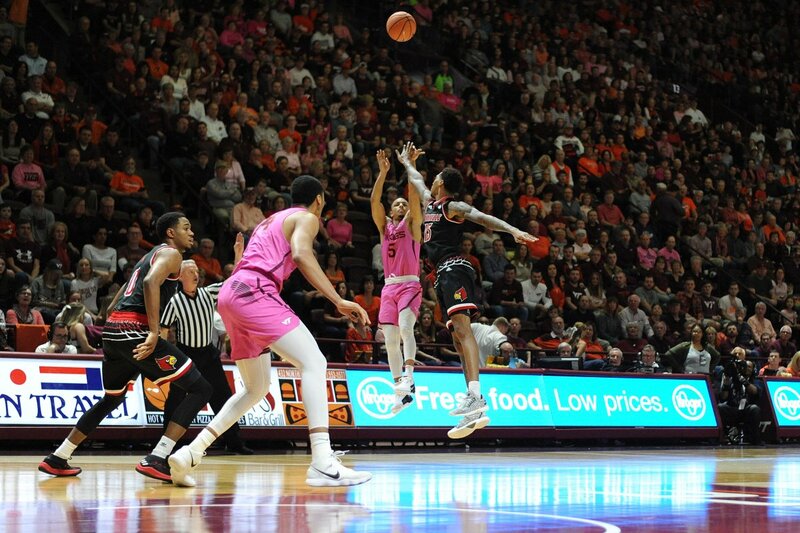 College Hoops News: Yesterday, the Virginia Tech Hokies did the let’s wear pink to show how much we care about breast cancer thing (which isn’t a bad thing, per se, but the pinkwashing of the uniforms is still a scourge). From Andrew Cosentino. Also from Andrew, here’s a pic from the game which was BFBS vs. PFPS. … Great tweet from Craig Bates who draws our attention to this vintage #SandKnit basketball jacket with a “1974 State Champs patch, contrasting sleeve stripes, amazing Sand Knit tag, even the line drawn look of the Cadets sleeve patch.” … Poor quality, but still viewable: “Multiple Georgetown players going with tags out? Is this a new fashion statement I’m not aware of?” asks Robert Barnard. 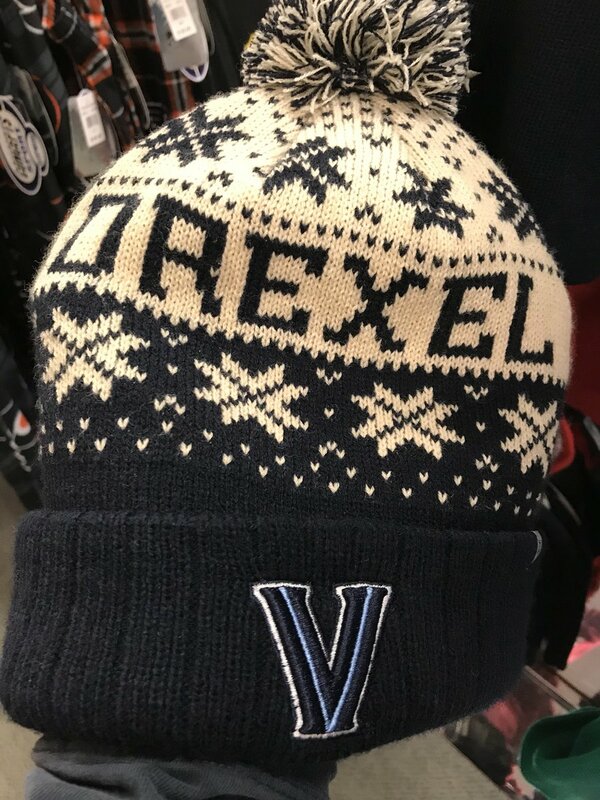 … Check out this awesome hat for the Villanova Drexels — or is it the Drexel Villanovas (from Mike Givler). … NNOB alert for Creighton’s #21 (from @JonDeno2). 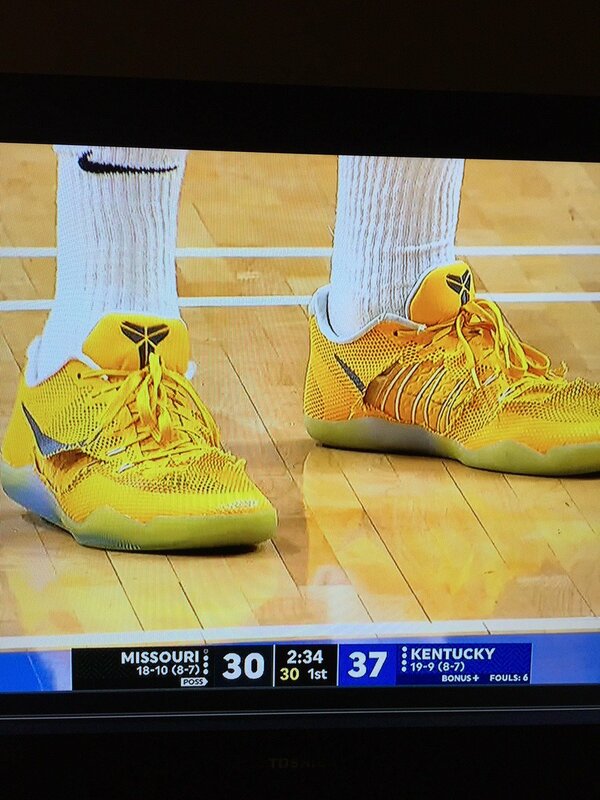 … Now this is dedication: Kassius Robertson (Mizzou’s leading scorer) has been wearing the same pair of shoes since last year (from Jim Ludwig). Soccer News: We’ve seen leaks and teasers for the past few days, but the Los Angeles Football Club’s (LAFC) inaugural-season uniforms were (finally) officially unveiled Saturday. They’re pretty basic, featuring a black and white top with gold accents, but I like them. Others, not so much (from Jay Riddle). … Here’s a bit more on the LAFC uni reveal. Olympics News: Because curling still doesn’t have all the respect it deserves, The US men’s curling team were accidentally given gold medals intended for the women (from Kary Klismet. … And if you want a curling shirt depicting John Schuster’s 5 rock, 8th end in the gold medal game, you better act fast (from Jim Fletcher…. If you’ve watched any Olympics skating coverage (or some other NBC events like the Kentucky Derby), you know that former US figure skater likes to dress somewhat flamboyantly. Here’s a gallery of his outfits on and off the ice (from our own Alex Hider). … During Canada vs Czech bronze medal hockey game, Derek Roy had to switch from his #9 jersey to #75 due to a bloody jersey (from @tonyjuve10). … Ivett Toth of Hungary set the internet ablaze during the figure skating exhibition with her routine to an AC/DC medley and a classic rocker costume featuring a vest with an image of Angus Young on the back (from Kary Klismet). … Shani Davis has his own contract with Fila so he doesn’t have the same “crotch patch” as his teammates wearing Under Armour. More in this Wall Street Journal article, which mentions UA’s million dollar partnership with Lockheed Martin on the skinsuits (from Paul Bastia). … Olympic Hawkey mystery: “During the celebration of Canada’s bronze medal in men’s hockey, the Black Aces came out in uniform – Gilbert Brule, Ben Scrivens, and others,” writes Charles Fisher. “I noticed there was someone wearing a #75 jersey with no name on the back in the celebration. According to the Hockey Canada website, nobody wore that number — There was no #75 in the lineup receiving a medal, he’s not in the team photo at centre ice, and you can’t see him anywhere else around during the medal ceremony or photo ops afterwards. It’s weird! Who is this guy?” I can only think it was possibly a blood jersey — any readers know? Grab Bag: NASCAR Driver Chase Elliott was presented with a University of Georgia jersey on Friday (from Blake Pass). … UC Irvine men’s volleyball with white to yellow gradation tops versus Hawaii (from Jeremy Brahm). … Rugby is a sport I don’t really follow (I did watch our club teams in college, but that’s about it), but apparently yesterday there was a very important uni matchup in the Six Nations Cup, yielding this tweet: “Relatively correct colour-balance between two teams in #IREvWAL, plain red shirts and white shorts, plain-ish green shirts and white. This is IMPORTANT. It IS.” (from C. B. Schmelter). … Golfer Jason Dufner doesn’t have a hat sponsor this year, freeing him up to wear whatever lid he wants. So yesterday, playing with Tiger, he wore a blue cap with “BOSS” and five gold stars on the front (from Zachary Loesl). … Also from Zachary, Morgan Hoffmann was wearing camouflage pants during the Honda Classic. Sorry — coding issue, should be fixed now. Apparently the folks at Barstool Sports aren’t Kevin Love fans. But it seems the feeling is mutual (from John Sabol). ), you know that former US figure skater likes to dress somewhat flamboyantly. Said figure skater being Johnny Weir. The question at the end of the Olympic notes, is actually addressed in the middle of the Olympic notes – it’s Derek Roy. 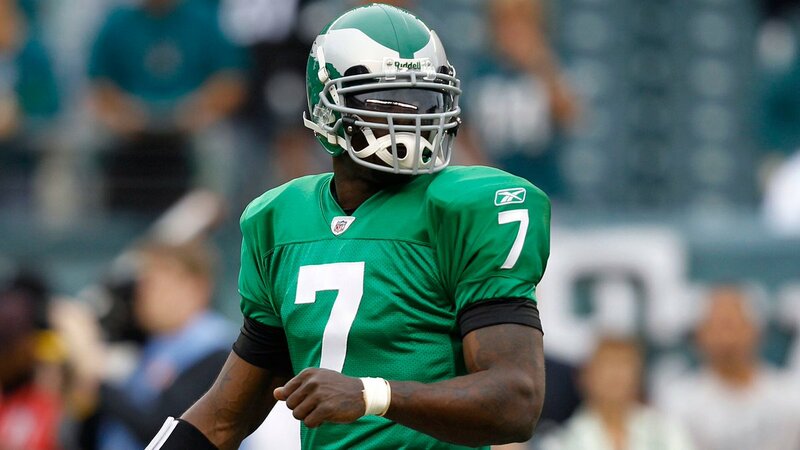 #75 was desingated (I think for all teams) as the replacement jersey in case of blood on the original jersey. I was thinking the same thing. Didn’t you answer your own question? Yeah, I meant to remove the question one when the answer was given, and I moved the answer one UP in the Hockey news, but then I forgot to remove the original question. No excuse, but I’m working on about 25 hours of sleep in the past two weeks, and that is not hyperbolic either. Much of it is due to watching the Olympics late, but some of it is also due to not sleeping even when I’m in bed. The Brier is now a 15 team tournament. Remember they recently started to include Team Canada like they have been in the women’s Tournament of Heart. The way it works is Team Canada in the tournament is the defending Brier champion rink from the previous year. They automatically qualify for the tournament without having to win provincials. I was hoping the Brier wasn’t going to follow suit. I’m not a fan of the new format. Sorry – I screwed up in providing the numbers of teams and learned something new browsing the Net today. There is the inclusion of the Wild Card team which is new this year (which I do not like). They started to do this in Tournament of Hearts as well this year. There already are two national events in the US similar to what you describe: The national championships and the club national championships. It’s not that the US doesn’t have a Brier, it’s that we don’t have a sports/journalism culture that affords our Brier anything like the respect that Canada does the real actual Brier. Further to my recent comment, the curling fun is not over if you can get access to the sports network TSN. The big daddy of tournaments, Tim Hortons Brier, runs from March 3 to March 11. If one is a curling fan, this is a bucket list event. It is in a smaller arena in Regina this year (about 6,000 seats). The attendances can really impress me when it is held in the Alberta cities of Calgary or Edmonton and in their bigger NHL rinks. 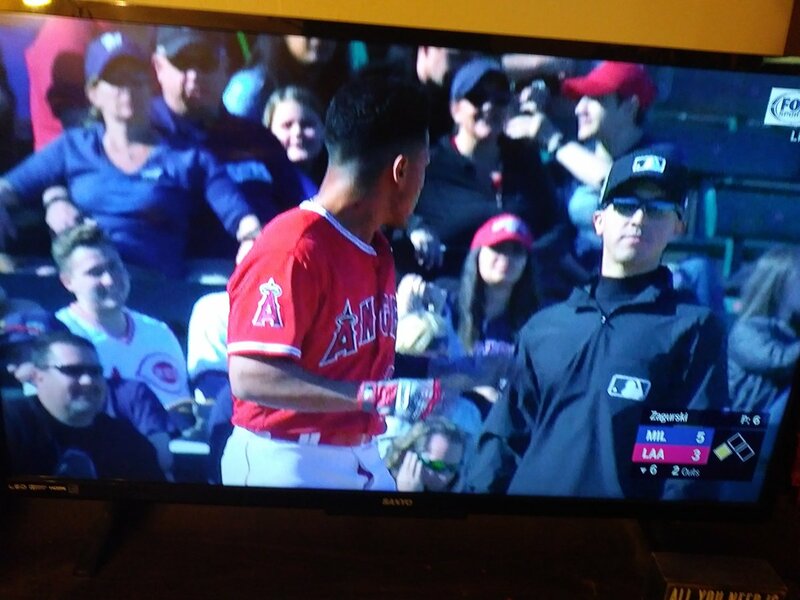 The Dodgers are wearing their traditional jerseys and caps so far in spring training. I wonder if they’ll switch when on away games. They’ll be in Spring Training jersey today with AZ patch. Number 75 for Canada was Derek Roy wearing a blood jersey. My question is why was a blank number 75 jersey available? Kind of a weird number. How i interpreted what was said on the Canadian broadcast was “75” was designated as the replacement jersey that i got the impression applied to all teams in the tournament. I could be wrong. So why 75, likely because no player in the tournament was wearing that number. The commentators mentioned 75 was making its second appearance in games Canada played and i thought it was another team that had previously worn it, but definitely not 100% certain with what I’m saying. I didn’t watch the Georgetown game, but my guess is the players rolled their waistbands in order to make their shorts a little shorter. 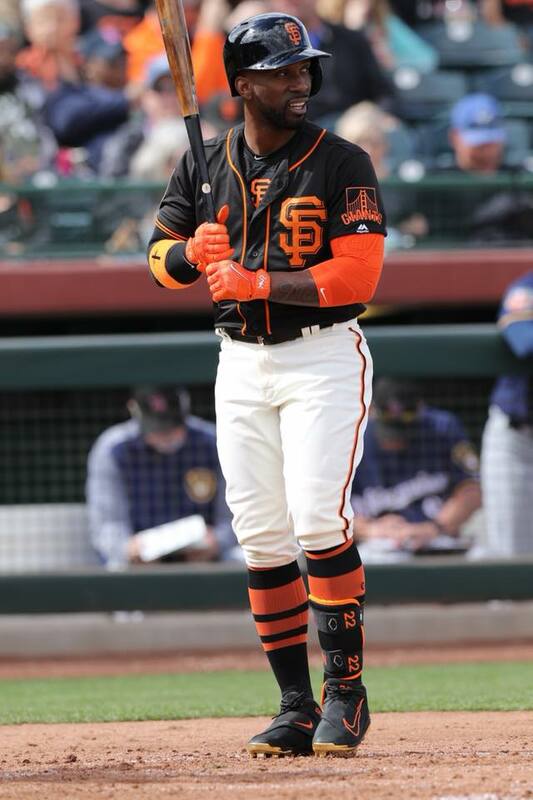 SF Giants going back to shiney helmets? That would b great! IMO they look better with shiney helmets than the matte ones! Unfortunately McKechnie Field was renamed LECOM Stadium in a naming rights controversy. I think there was some coverage of it here on the site. They look like Loudmouth pants because they are. I believe that the Norwegian players originally bought Loudmouth pants on their own, but Loudmouth now backs them as a sponsor and gives them their pants. Probably not coincidentally, a fair number of guys I curl with wear Loudmouth pants. Norway should’ve stayed with the original pants. The houndstooth from ’14 and the concentric circles from this year are good too. Don’t really like the wearing of ball caps but in the red over grey the ball caps blend in/fit in better. Not a good look at all with the blue shirts. So happy for Kent St. and their new uniforms.